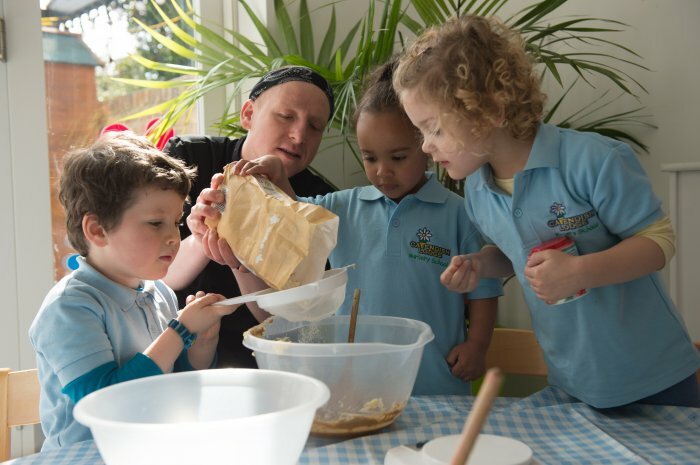 Cavendish Lodge Nursery School in Streatham has become the first nursery in London to receive a special national award for excellence in children’s food. The nursery has achieved the Children’s Food Trust (CFT) Award, an accreditation scheme to help schools and early years settings show parents their commitment to helping children eat well. It means that Cavendish Lodge Nursery, which already has Ofsted Outstanding status, has met tough criteria on food policy, menus, the dining experience that children have, staff training, giving children opportunities to learn to cook and grow food and how actively staff encourage children to eat healthily. Jodie and Kevin Potter, owners of the nursery, explained how they had decided to make a real commitment a few years ago to make sure that the ingredients and the food served was of the highest quality. They are delighted to receive this award as an endorsement for all the hard work. Find out more at: www.cavendishlodgenursery.co.uk or www.childrensfood trust.org.uk .